Increased productivity without human errors. 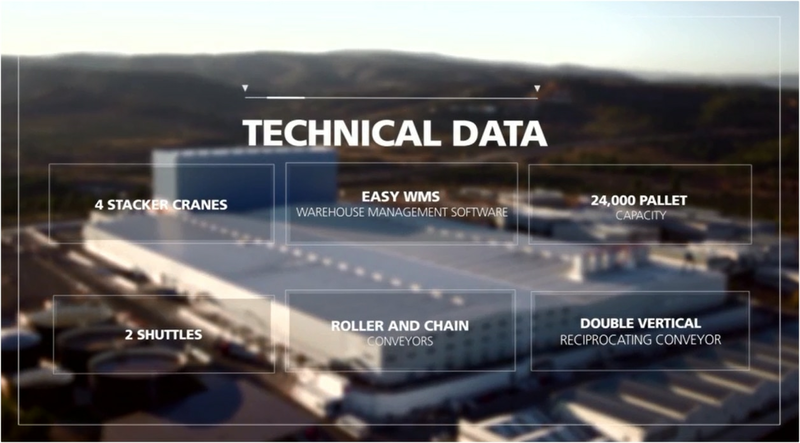 This automated warehouse system for pallets increases high load capacity and performance by reaching heights up to 131' while operating in aisles as small as 5' wide. Automated warehouse system designed to increase capacity, reliability and performance while allowing direct access to each pallet. 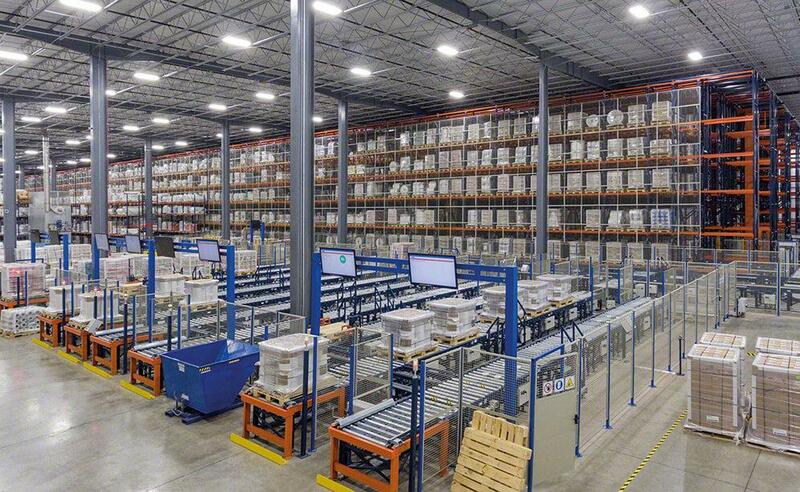 Unit Load automated warehouses maximize available space in existing structures and minimize storage space by up to 40 percent as compared to traditional storage solutions. Stacker cranes designed to work in narrow aisles nearly 100 feet off the ground, provide high density storage and automated operation. Total control over inventory management. Fully automated entry and exit of products. 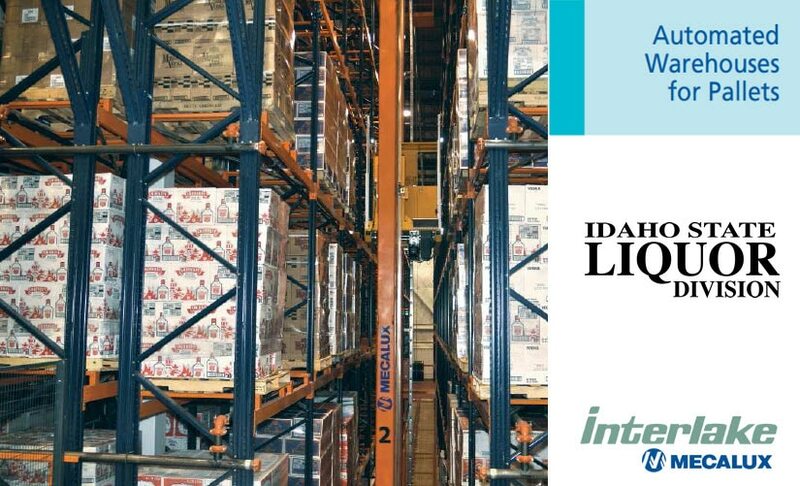 The Interlake Mecalux Unit Load AS/RS is designed to provide versatility and control for any warehouse design. Fully compatible with any size pallet, the unit load racks can be single-depth or double-depth to maximize capacity. Customize the system for the application and storage requirements of each project.